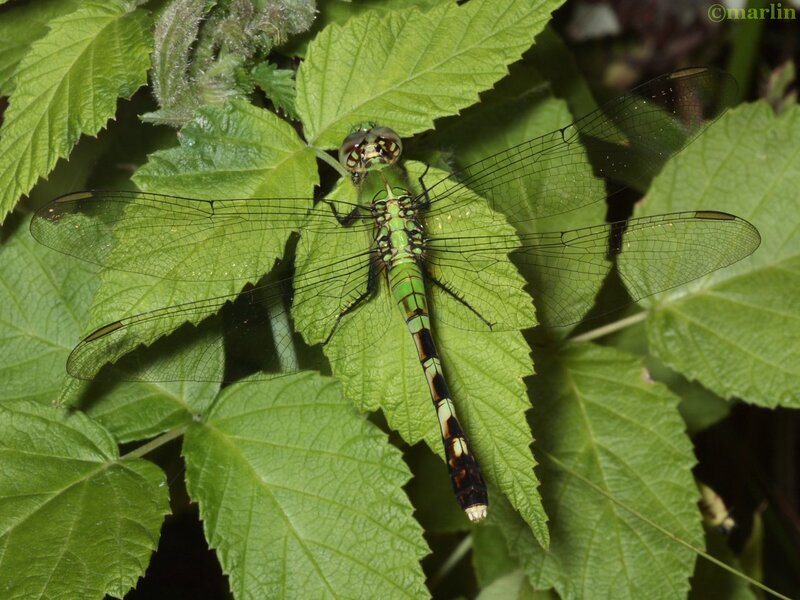 Look for these dragonflies perching on plants near the ground near water, or on floating vegetation. Coloration in both genders is extremely variable, and males have a distinct bluish cast (below). Some other color variations can be seen here. 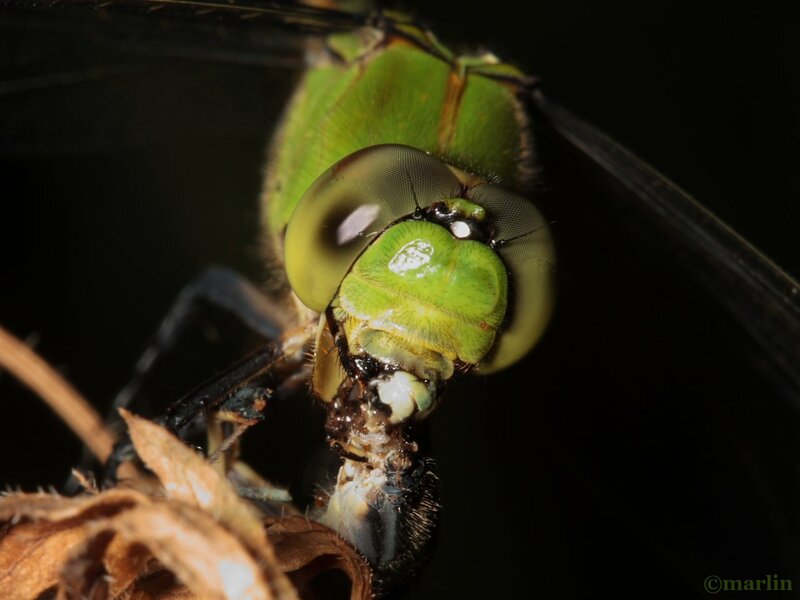 Dragonflies have excellent eyesight. Their compound eyes have up to 30,000 facets, each of which is a separate light-sensing organ or ommatidium, arranged to give nearly a 360° field of vision. 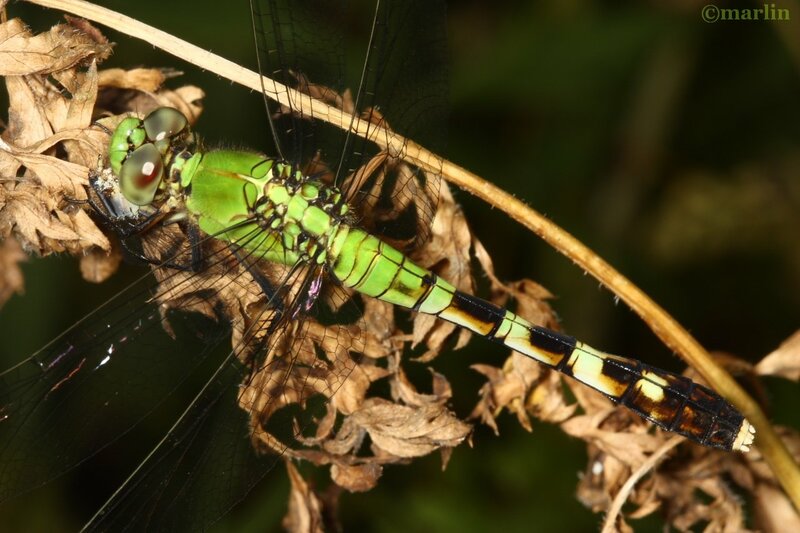 Odonates are completely harmless – they do not sting or bite. Indeed, they are beneficial in the same respect spiders and other predators are beneficial – they keep the burgeoning insect population in check. 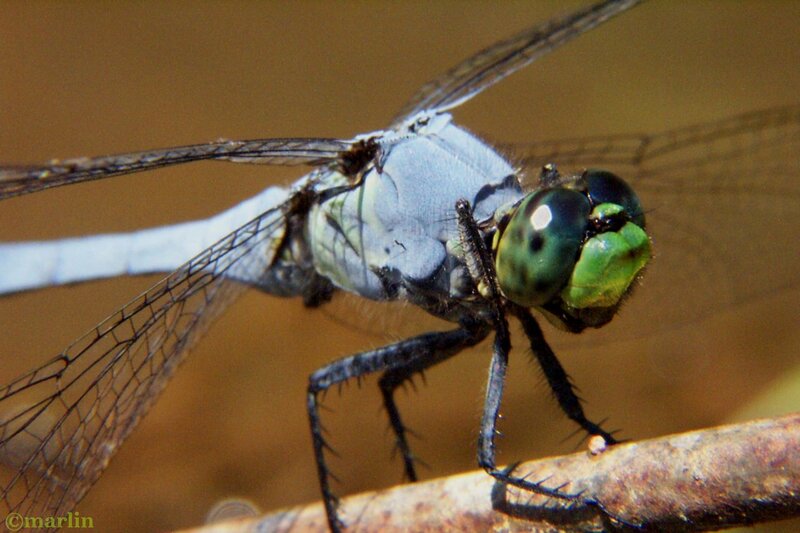 Dragonflies are among the most ancient of living creatures. Fossil records go back to Carboniferous times which means that the insects were flying more than 300 million years ago, predating dinosaurs by over 100 million years and birds by approximately 150 million.